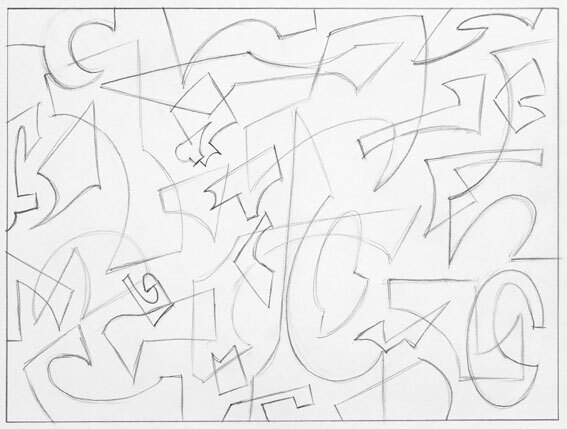 Abstract drawing is a great way to loosen up your drawing arm before you dive into a serious drawing study or practice session. Think of this like stretching before lifting weights or swimming. You’re preparing your body for the workout your about to put it through. It’s the same with drawing. You want to get your arm limber and ready to draw, but also your mind. The mind is perhaps more important to get warmed up and in the Artistic mode. I find abstract drawing perfect for this because you are concentrating on drawing interesting shapes but not worrying about trying to make them look like anything. 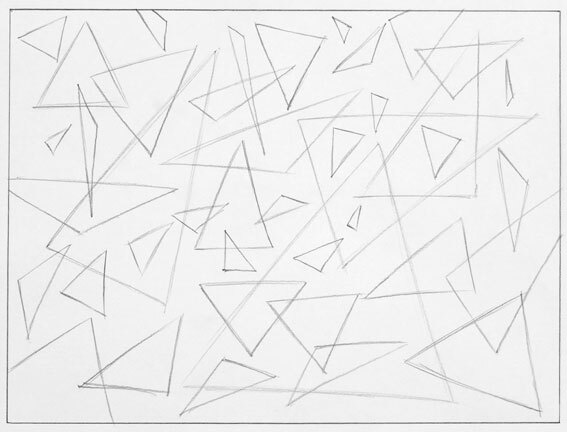 It allows your arm to get into the rhythm of drawing beautiful lines, and also gets your mind thinking about shapes, their placement, and the overall composition of the page. Think of it like drawing Yoga, it’s relaxing but also builds your drawing muscles. 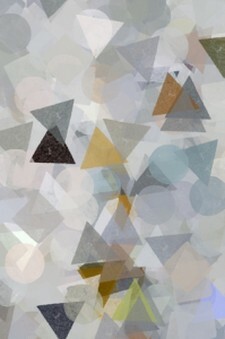 Triangles: Draw a page full of triangles of all different shapes and sizes. The goal is to make all your lines straight and connect all three sides together. Really vary the sizes and shapes of your triangles. Think about their placement on the page, and how they influence each other. Squares: As with the triangles draw all different shapes and sizes of square and rectangle forms. The goal is to keep all your lines straight and at right angles to one another, try and make all the corners perfectly square. (It’s harder than it sounds). 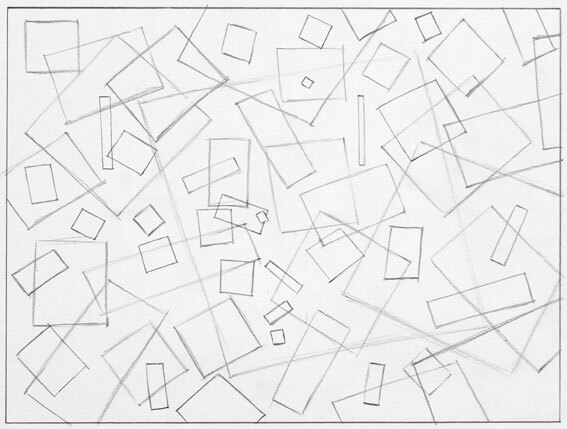 Also focus on the composition of the page and how your shapes interact with one another. 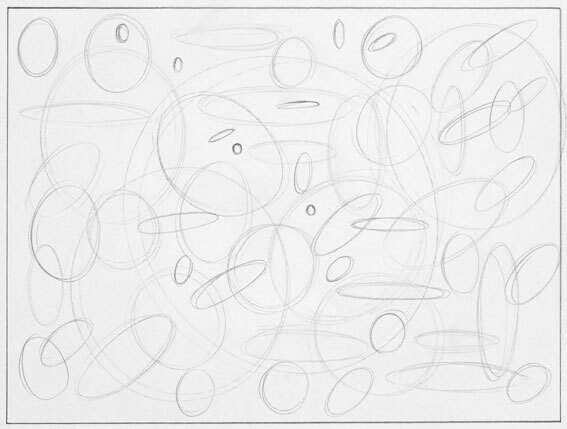 Circles and ovals: Draw a variety of circles and ovals on your page. Again vary the size and shapes of the ovals. The goal is to make perfect circles and ovals in one or two strokes. (This might be the most challenging warm-up for you.) You will be drawing lots of circles and ovals (also called ellipses) throughout these lessons so it will benefit you greatly to learn how to draw them proficiently. Don’t be hard on yourself if you can’t draw a great circles and ovals right away. Just do your best and keep practicing, you’ll eventually get the hang of it. Complex abstract shapes: This is my favorite warm-up, and the results always surprise me. Combine all the qualities of the simple shapes together and create your own unique abstract shapes. The goal is to stretch your imagination and draw a composition full of interesting shapes. Try to limit yourself to around 7 lines total for each shape. Don’t draw the same shape twice, make each one unique. Think about the placement of each shape and how it interact with the others, (notice the new shapes created between and two shapes, or when you draw one shape over another). You can create some pretty amazing drawings from this exercise. They are not meant to be pieces of art in themselves but if you really like your results save them, you might want to use them down the road. The secondary goal of these exercises is to gain a keen sensitivity to the wide variety of shapes that can be created. As you will discover in our next lesson, everything you will ever draw or paint is merely a collection of abstract shapes. If you can see them with your Artist’s Eye you can draw them. Lesson 4: The Artists Eye, the most important of all my free drawing lessons.